The IE design team has spent the last month hosting regular lunchtime sessions with the rest of the office. Each week we trawl the internets for creative work we find inspiring, to share with and invigorate the whole team. We’re still playing with the format, and hoping more team members will come along to share and discuss the work they find truly inspiring. Here are my picks from the past few weeks. This site has attracted a lot of attention and for good reason. 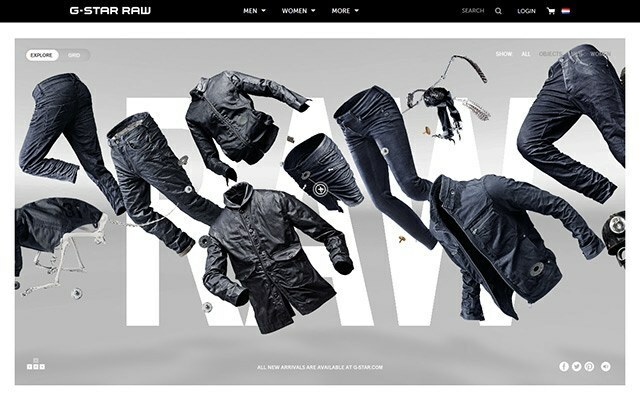 It’s a fun and engaging way to explore the G-Star collection, whilst reinforcing its current campaign. It is an inspiring solution that gives the appearance of depth. This is executed by immersing the viewer in a faux 3D space which feels very real. It reminds me of the Flash sites of old, and for me, that’s a good thing. A return to a more creative web is long overdue. I do think there are too many steps in the path to purchase, and am disappointed by the one dimensional view of each product offered, even once you click on them. However, perhaps the technical limitations of G-Star’s e-commerce platform got in the way. 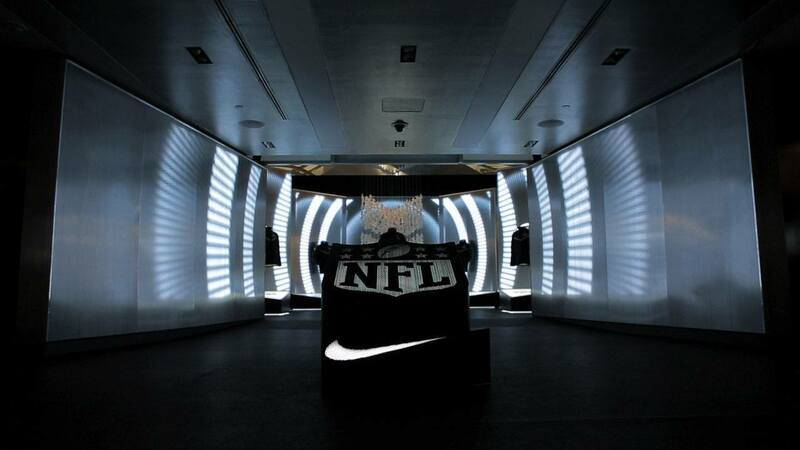 With Nike as a client, we’re always interested in the exciting projects they’re bringing to life across the globe. This installation takes the notion of retail theatre to a whole new level, with powerful animations playing out across huge screens, and an atmospheric soundtrack to boot. The viewer is forced into an immersive experience that places them, and the Nike kit, at the center of the action. Well crafted visual merchandising serves to reinforce the theme of each animation, and provides the link between product and screen. This is something often forgotten when looking at what many retailers are doing with their instore displays. This artistic collaboration resulted in a very interesting exploration of face tracking technology and projection mapping. It’s not too much of a leap to see the commercial possibilities of this technology, allowing users to ‘try on’ new looks with virtual makeup or perhaps even superimpose a new nose. 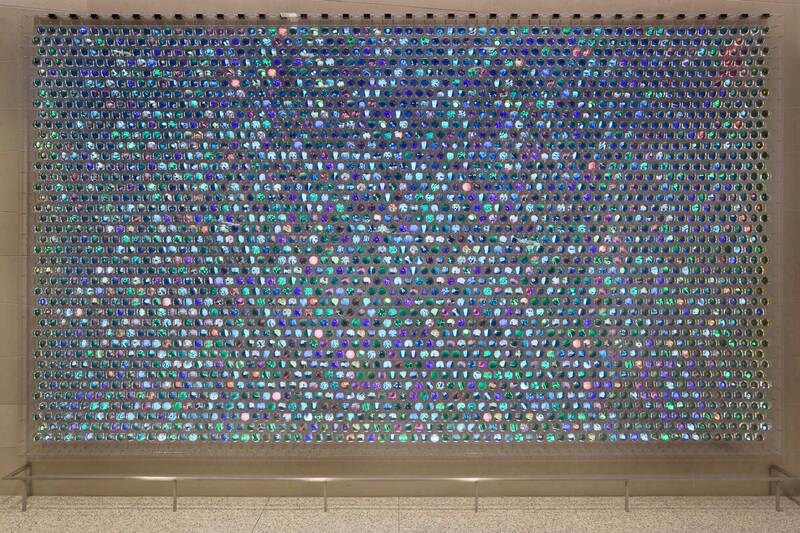 Created from thousands of tiny screens, this wall sized digital artwork explores the field of medical research in an unique and interesting way. Each screen is furnished with a magnifying glass lens, referencing the instruments of scientific exploration, as well as freeing the digital content from it’s usual rectangular boundaries. It’s a creative, well executed, idea. I’m not much of a cat person, but I am loving this campaign. It demonstrates a highly cynical understanding of internet virality, at the same time as just being adorably, brilliantly strange. I just hope my next Pizza Hut pizza comes sans furball. A stunning piece of work that transforms biological life on earth into ‘exo-biotanica’; extraterrestrial life. 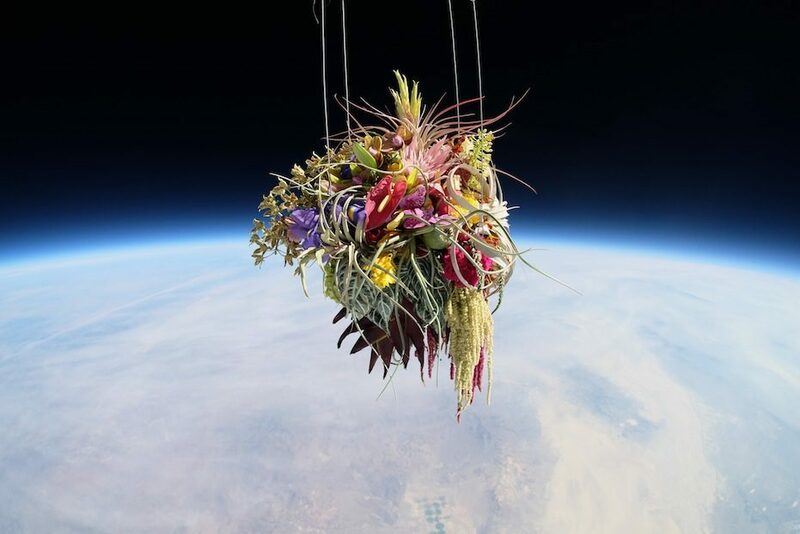 Beautifully crafted bonsai and floral arrangements were sent into space by weather balloons to take on their new ‘life’, while it simultaneously being ended, 30,000 feet into the air. The accompanying photographs are breath-taking; the flora monumental against their impressive background. The relativity of their size and importance is undiminished by their juxtaposition against the earth; it invites the viewer to reconsider the beauty of small things.